A very wise man named Edmund Burke once wrote, "The only thing necessary for the triumph of evil is for good men to do nothing." He may have written that hundreds of years ago, but it still applies today. Wisdom transcends centuries. There was an incident, in our neighbourhood, the other day. An incident involving evil and good men, doin' nothin'. 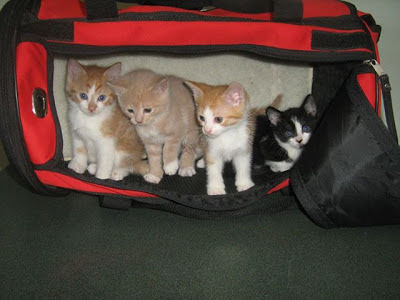 A woman in the neighbourhood found a carrier containin' four kittens. Four beautiful kittens. Quite possibly, four of the most beautiful kittens to grace this world since the arrival of my siblings and me, ten years ago. Said woman, found the kittens in a carrier on the side of the road, by her house. Had it been either one of my peeps who had found those precious babies, they would have scooped them up, right there and then, and taken them to safety 'cause... well... 'cause that would have been the right thing to do. But this woman didn't do that. Instead, she left them there. Just left them there, by the side of the road. Said woman, refused to take the kittens inside, to safety. She refused to pick up the carrier and take it away from the side of the road. She didn't want to keep the kittens. Well, that's okay. No one was expecting her to keep them. But, nevertheless, my peeps and I would have expected her to take them to safety. All she had to do was pick up the carrier and bring it into her yard - where they would have been much safer than they were at the side of the road - before calling Animal Control. Animal Control would then have taken these precious babies to the Companion Animal Protection Society where they would be cared for and loved before bein' put up for adoption. Instead, said woman came and got my peep. She refused to call Animal Control herself, which peep #1 found to be very odd and just a little suspicious. She had so many excuses and not one, single, actual reason. When ol' peepers realized that the kittens were still at the side of the road in that carrier, she flew into action. We had a friend visitin' and he went with the woman to go save the kittens. He went, I think, 'cause my peep was gonna walk over. She didn't want to get into the same car as the woman. She didn't wanna hear any more excuses. My peep was mad. Mad, mad, mad... Mad as a mad hatter. Mad as a mad hatter squirrel wearin' a mushroom hat, made of questionable mushrooms. Ever seen one of those? I have. It's pretty scary. Now, here's the difficult part... Edmund Burke also wrote, "Nobody made a greater mistake than he who did nothing because he could do only a little." The woman did come and get my peep and, for that, I am truly grateful. At least she did something. Something is always better than nothing. But I still have a serious problem with the fact that those kittens were left in that carrier by the side of the road, unattended. In a matter of seconds, disaster could have struck. Disaster with disastrous consequences. They could have been run over, either accidentally or intentionally. They would have died right then and there. Had that happened, that would have been that woman's fault because she could - should - have moved the carrier to a place of safety. I know for a fact that there are four dogs livin' in our subdivision who are allowed to roam, occasionally. 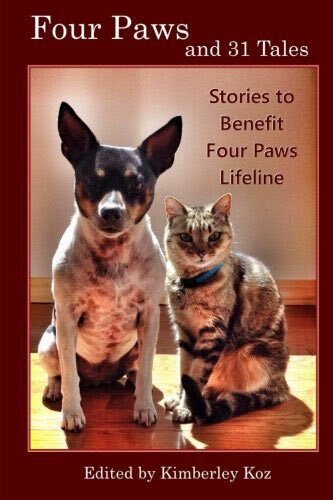 What if one of those dogs had come across the kittens? They wouldn't have been able to escape. They could have been mauled to death. That, too, would have been that woman's fault for she should have moved that carrier to a place of safety. And I know that that woman COULD have moved the carrier to safety. I know that she was perfectly capable of movin' it. There was nothin' stoppin' her from doin' the right thing except for the fact that she didn't want to do it. Her excuses for not doin' so were exactly that... excuses. 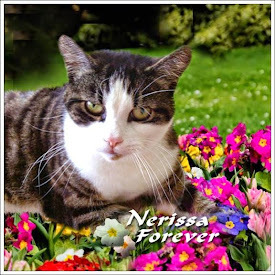 I, Nerissa the Cat, know the difference between an excuse and a reason and I heard no reasons that day. Even though doin' something is better than doin' nothin', should we not, still, always strive to do our best? Perhaps our best is only a little and, if that is truly the case, then that little must suffice. But we must never do just a little when we could do more. We must never do just a little, far less than our best, and think that that's good enough. Think that that somehow makes us better people 'cause... it just doesn't. The world demands more from us. And when those demands are made, it's our time to shine. It's our time to shine and do the world proud. We shouldn't just slack off and think, well... I did something. That little something may not have been enough. And what if that woman had not found my peep that day? Would she have left the kittens there to die? She was adamant that she would not move the carrier to safety. Adamant that she would not call Animal Control. I shudder at the thought of what would have happened had my peep not been home that afternoon. Thankfully, there are truly good peeps in this world. Good peeps who always do their best 'cause they know that doin' their best is what is always best to do. 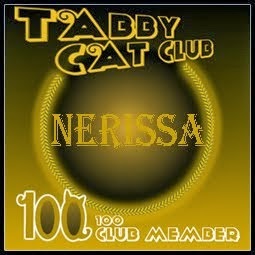 Well Nissy, that was one narrow escape those sweet kitties had!!! Good for peep #1 and shame on the other person! So many questions, Nissy. Why did the original person leave the carrier there? He or she must have been somewhat of a caring person, with a lovely red and black pet carrier that the kittens were in. He must have been trying to get the kittens to somebody who would adopt them, it seems. The the neighbor - did she imagine somebody had ACCIDENTALLY left the carrier there and was coming back? Did she think Animal Control would have them put to sleep? What was going through her mind to choose to leave them there rather than pick up the carrier and call Animal Control, or then come to your peep? We are so glad your pee was able to do right by those sweet things. We hope they find lovely, caring homes. Your peeps is one of the good peeps in this world and I am thankful that she got those kittens to safety. When that other peeps needs help she would do well to remember that what goes round comes round. We're glad your peep got the kitties and they are now at a safe place, waiting for their forever families. 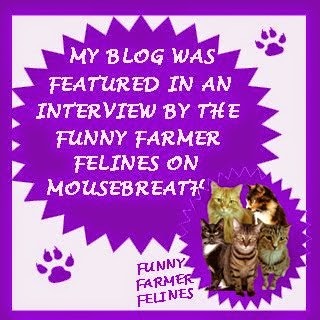 We won't comment on said lady as Mommy says this is a family friendly blog. Thank goodness all the stars were aligned and nothing bad happened...sometimes it's hard to understand peep's motivations. 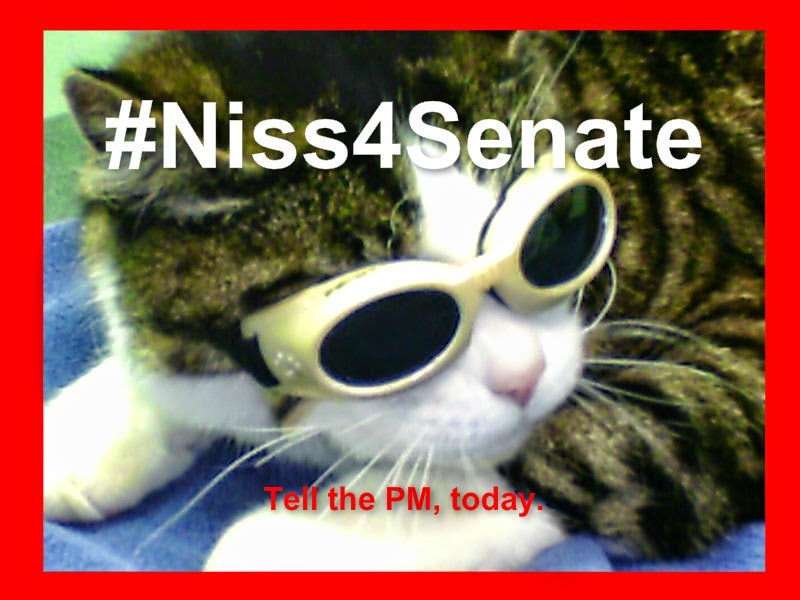 Oh Nissy.....thank heavens your peep helped those little babies because surely they would have not made it otherwise. These kinds of things are just SO sad - how people could pack up kittens in a carrier and just DUMP them. I know it happens all the time - why do humans think of us as "throwaways"? Please PLEASE give your peep a big Sammy hug from me will you? Oh Nissy, thank heavens your peep was home and helped to get those kittens to safety. Sometimes some peeps can be just a little on the stupid side. They are such cute kittens, we know that they will find a home soon. Thanks to the Mom for helping them. 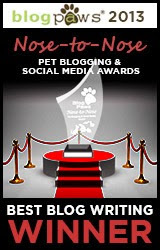 Nissy, HUGE congarats on your blog award at Blogpaws. 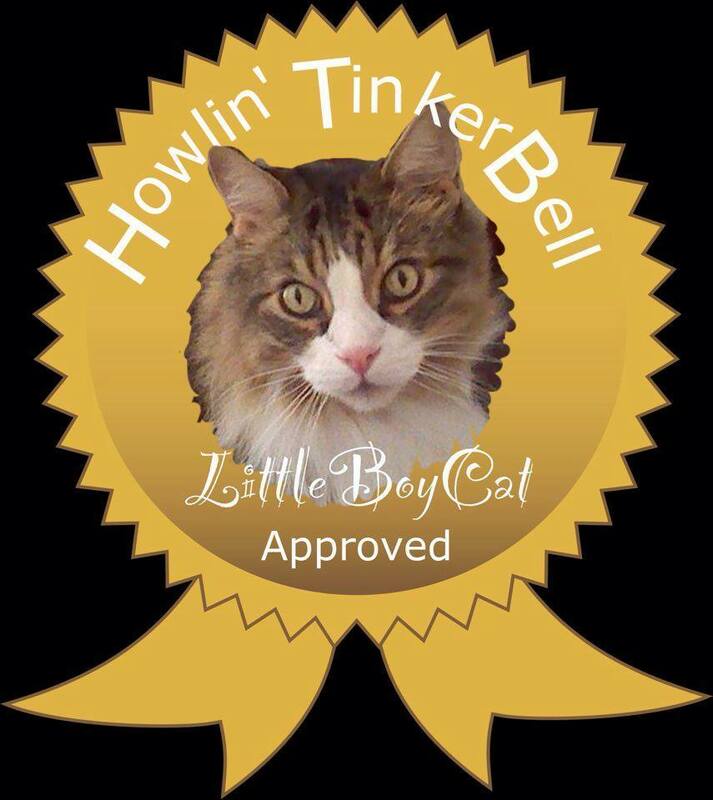 WE sure think your blog is the best blog wiritng we have read in a very long time (ever) and say the award was absolutely right!!! Your peep must be feeling very happy too! Sorry she couldn't actually be at Blogpaws. Your peeps sure are THE good peeps ! Those kittens was lucky that they was home that day ! 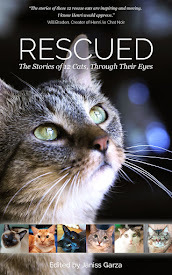 Congrats on your BlogPaws win and cheers for lucky cats who are rescued. Purrs from an ex-pat Canuck and four mancats. Our Lady says sometimes she is disappointed in her species. How hard would it have been to move the kittens to safety. It could have been done without them entering the lady's house. Sigh! We are just glad this story has a happy ending. 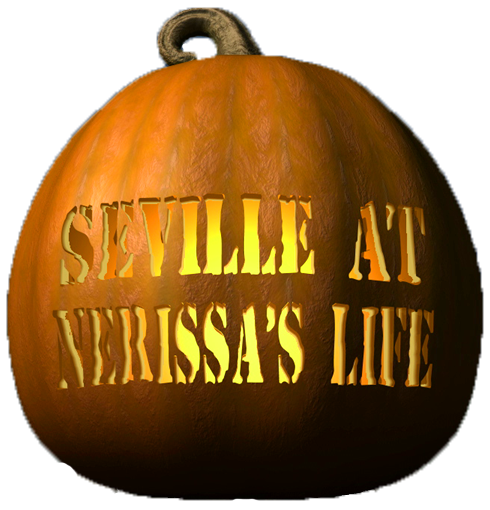 Oh Nerissa we were reading this with our hearts in our mouths, hoping for a good outcome. What is WRONG with this person? Thank catness she came for your peep but ... WTF?! MomKatt & I just don't get it; they'd have been inside our house in a hot minute if we'd found that carrier. Those are some lucky little kittens. 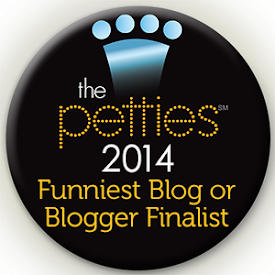 You won @ BlogPaws? Do tell! We haven't been able to find out the winners anywhere! Yup. 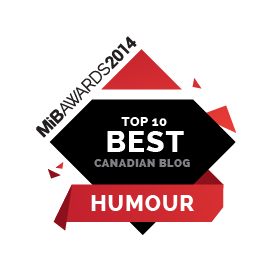 I won BEST BLOG WRITING! Yoo-hoo! YOO-HOO!!! So sad that some peeps are afraid to take responsibility. So glad your super peep was there to take care of business! Congrats again on the great award pal and I am so proud of you. Mom Linda did a wonderful job accepting on your behalf! Now then, that was a wonderful post. Here's my opinion...if they do nothing, they are not great men, never will be, ever! I am SO glad that your human was there to rescue the babies! My human would have taken them in immediately too, not even pausing to think about it. And I think most of the humans who visit your blog would do exactly the same thing! In fact, I don't get humans who wouldn't! I think they must have something missing in their soul. P.S. 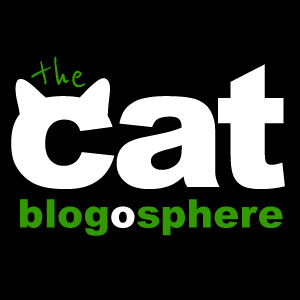 Concatulations on your BlogPaws win! Wow I can't believe she just walked away! Thank god for your peeps!! Well done mum and congratulations on your win. Have a marvellous Monday. 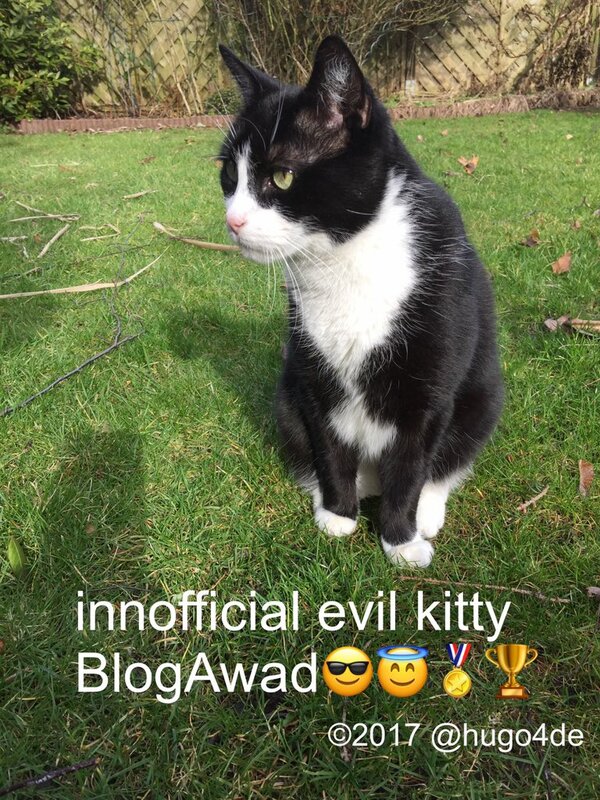 ~~~~~~~~~ N CONGRA RATZ DOOD ON WINNIN DE 1013 BEST BLOG WRITING AWARD !!!! ~~~~~~~~~~~~~~~~~~ THIS BEE SEER EEE IZ LEE KEWL !!!! We was watching the teebee earlier and we saw the video of the lady whose house got wrecked and while they were interviewing her she found her doggy in the rubble and he was okay. We got pretty leaky watching it and for some reason we thought of you and the kittens and then we got leaky some more and all in all, it was pretty embarrassing. At least she was smart enough to realise your human would know what to do. Humans aren't always very bright. 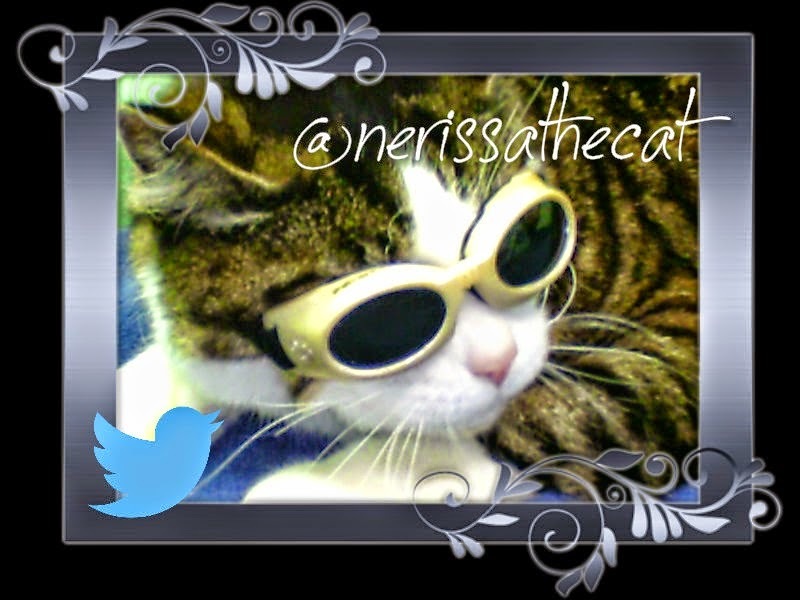 Hi Nerissa, thank goodness for your pawesome peeps saving the little baby kitties from goodness knows what!!! It made me furry angry reading about the lady who refused to do even the most simplest thing - MOVE THE BAG AWAY FROM THE ROAD - The poor kitties must have been terrified in there :( but at least they're safe now, which is the main thing. I do hope they get good homes and live happurrly effur after. 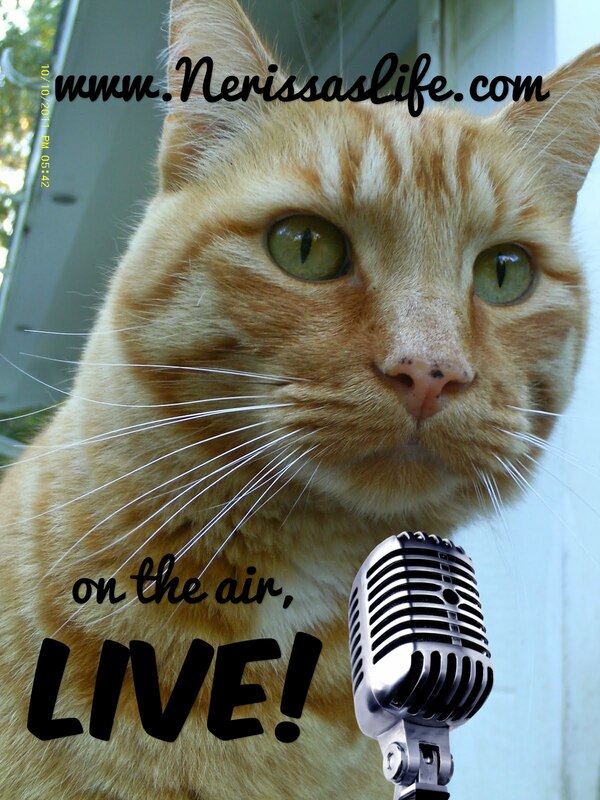 Tell your peeps that they have furry furry kind hearts and are totally pawesome! well said dood. well said. While I couldn't agree more, that she could have done more and it still been the bare minimum, we are thankful she did something at all. It is all too easy to rant against those who do what we consider the barest of bare minimums, but we have to remember that their life is different from our own, and their moral compass isn't set to the same spot as our own. I know I'm often ranting against idiot people and their excuses, but then I remember how much worse it could be. 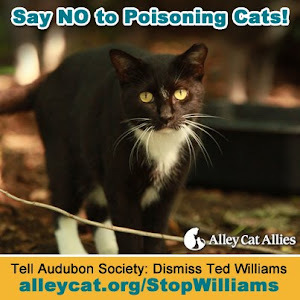 Like wanting to yell at the people who turn in their 16 yr old cat because they are moving, but then remember the people who stuck their cat in a carrier and put it out with the trash - and it was only found on the conveyor belt on the way to the garbage incinerator. Thank YOU for doing more.. Thank you for listening, for rescuing, for doing something.. for doing more..
That's terrinle. What would be so hard about taking them to safety?? Something wrong with that person, clearly.